I LOVE going to resale shops and garage sales. I mean they really are like a box of chocolates… you never know what you will find until you go inside. Here are a few of my tips for navigating resale/garage shopping. I will never claim to be an expert shopper but I think I can hold my own. Garage sales are amazing…but the good stuff is gone in the first hour. Stake out your sales from the newspapers, http://www.yardsalesearch.com/, http://www.kingwoodyardsales.com/, http://gsalr.com/garage-sales-houston-tx.html are a few of the ones I look at when wanting to go garage shopping. Drive by the day before. Yes, I want you to stalk them. If the sale is going to be good they will already be organizing the day before it starts. If they are one of those perpetual garage sales you will see that too and avoid. Map out your route. Have a plan and have cash. Small bills. The seller is more likely to bargain if you don’t want them to break a $20 for a five dollar purchase. You have to be decisive when garage sale shopping. If the item is priced well it will not be there when you come back. If you want it, get it when you see it. Shop in a truck or car that can hold the items you are looking for. Sounds simple right? I have had to call in reinforcements more than once because I did not follow this advice. We completely filled Star Hill with garage sale, Craigslist and auction items for less than $1000. Three bedrooms, a living room, kitchen and dining space. Once a year a neighborhood near our home has a huge garage sale. We do not go to the country on that weekend. Resale/thrift shops are really hit and miss. The nicer the shop the less I like it. I feel like I am paying for their nice space and prime location. If you don’t think you could make yourself go into a junky resale shop and live in the Houston area the following link is for some of the nicer thrift stores: http://houston.cbslocal.com/top-lists/best-thrift-stores-flea-markets-in-houston/ or http://www.thethriftshopper.com/city/Baytown/TX/1.htm . 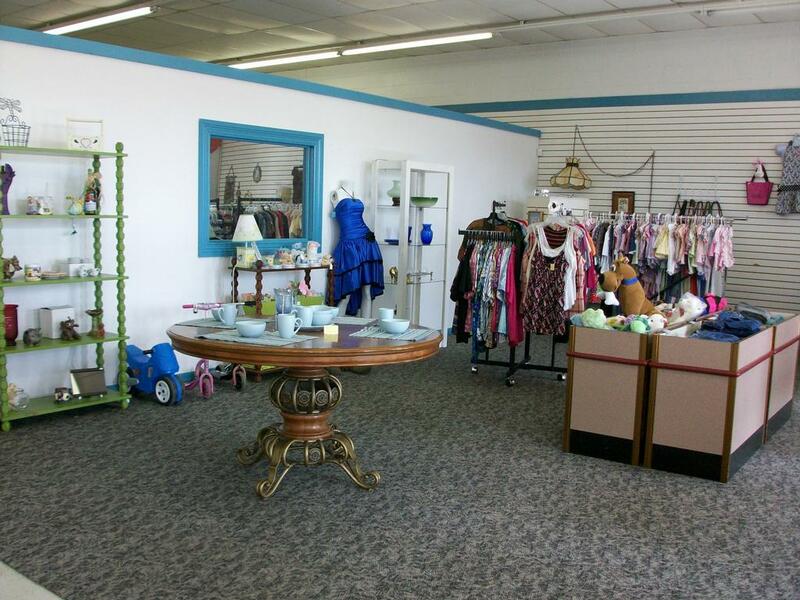 A resale shop is a store that a person owns to make a profit. A thrift store is a shop where the items are donated and the profits are for charity according to ehow, but I see the names interchanged a lot. I LOVE, LOVE, LOVE resale shops out in the country. Stuff that I love is not always popular out in the sticks. I got a great milk glass chandelier two weeks ago for a dollar. It is going to go in my bathroom…one day. I got two huge solid maple framed mirrors for twenty dollars. 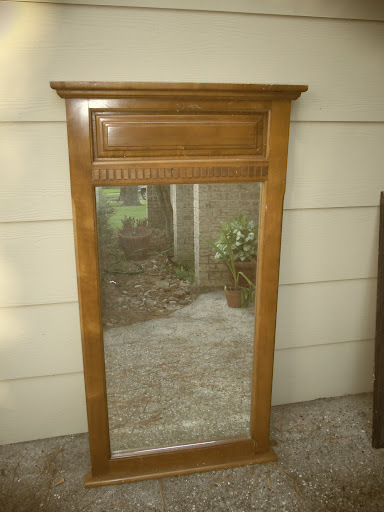 One of the mirrors will be used in making my entry way mud room piece (my next big project) and one is going to the lovebirds and will be used as a sort of hall tree. This past week I got a rough gold framed mirror for two dollars. I will be posting it soon. I have it finished and ready to hang in my bedroom. One of two matching maple framed mirrors I got for $20.00 at a resale shop. This one is going to the lovebirds with a shelf under for their small entry way. Bundle your items. Think American Pickers. Stack up a bunch of stuff and offer to pay one price for it all. 9 times out of 10 they take me up on the offer. Visit the good ones often. Resale shops get new stuff regularly. Favor those that are for non profit organizations. Volunteers price the stuff. You will find treasures there and the money goes to a good cause. Have a budget and bring cash. Know what you are looking for and have the measurements with you. Hubby gets really unhappy when I have to call him from shopping to go measure something. Think outside the box. How could the item be used other than its current use? Ignore the color. Paint is cheap and just about anything can be painted from glass to plastic. Do you like the shape, size, function? Only buy upholstered items if they are easy to recover or are in good condition that does not need work. If you have to take something to be reupholstered it will cost you more than the item is worth often. Right now I am looking for men’s change holders from the 30’s through the 60’s. I am making a wall display with them. I am always on the lookout for milk glass and McCoy pottery. 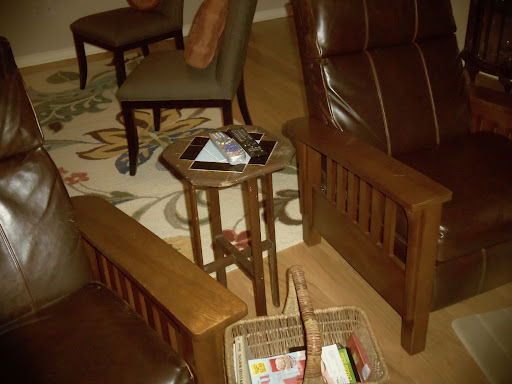 I have a weakness for mission furniture…even if it is rough. I collected the change holders and candle holders above for 25 cents a piece. The candle holders were used at the rehearsal dinner inside some borrowed hurricane lamps. 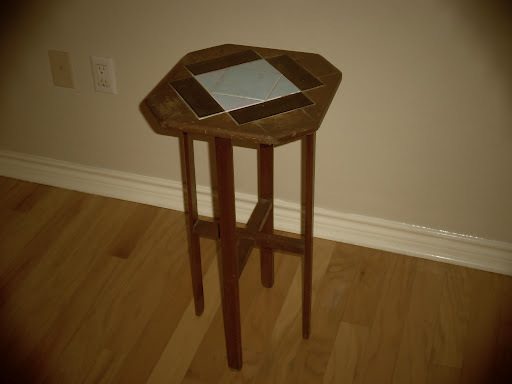 I found this mission plant stand at a resale shop for $12.00. 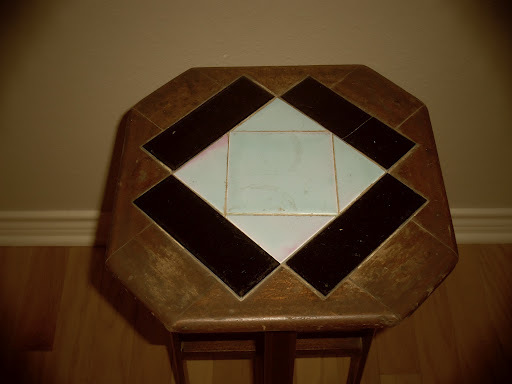 It still has original tile work in place with no cracks. The perfect solution for the remote controls.